These range from huge Marquees, used as Mess Tents, kitchen Tents to marquee used as Hospital Tents and the Parade Tents. 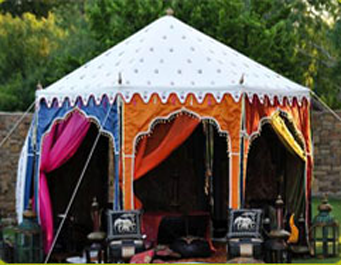 Tents are also known as Tambu or Tamboo and Chouldaris in the Military. We have a credit of supplying our tough Army Tents to many regiments in the Indian Army, Hospital Tents to Kargil, and exported our Parade Tents to Republic of Tonga and Sultanate of Oman, just to mention a few. We are the Best Military Tents Manufacturers. 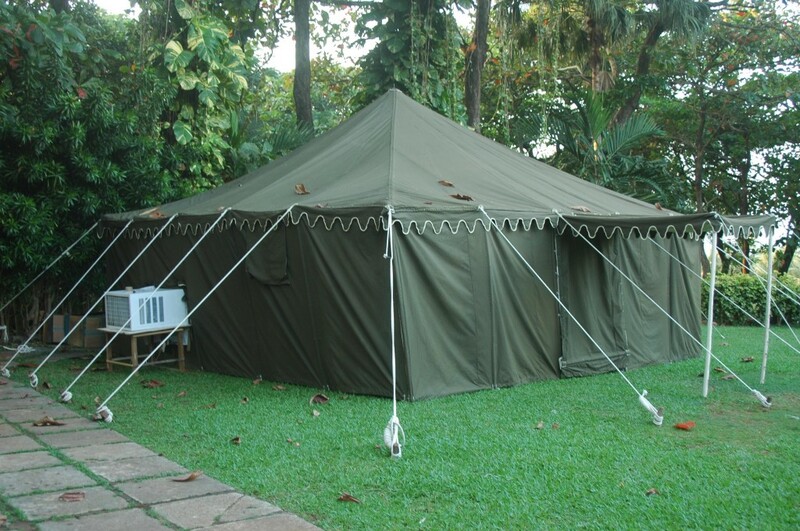 Our Army Tents are made up of two layers, outer of water-repellent + rot-resistant cotton canvas in Olive Green color, with lining of cotton sheeting. These double layered tents are more durable and long lasting tents than Single layered tents. These tents can also survive desert conditions and are very Heavy Duty Tents. Sangeeta International makes the Best Quality Tents for Army. Bamboo poles or Metal poles , wooden Pegs, Cotton ropes, tassels, Wooden pole tops everything required to put up the tent is included with the tent, you will only need to buy an Iron Hammer. We make the Best Quality Single Pole Tents, EPIP Tents, Military Tents, Tents for the Army, Truck Tents, Mess Tents, Tents for Parade Grounds.